A briefing done by Mr. K for our Masters athletes. A strong 40-member Singapore Masters has headed to Taipei, Taiwan for the 17th Asia Masters Athletics Championships. The event is to be held from the 2nd to 7th November. 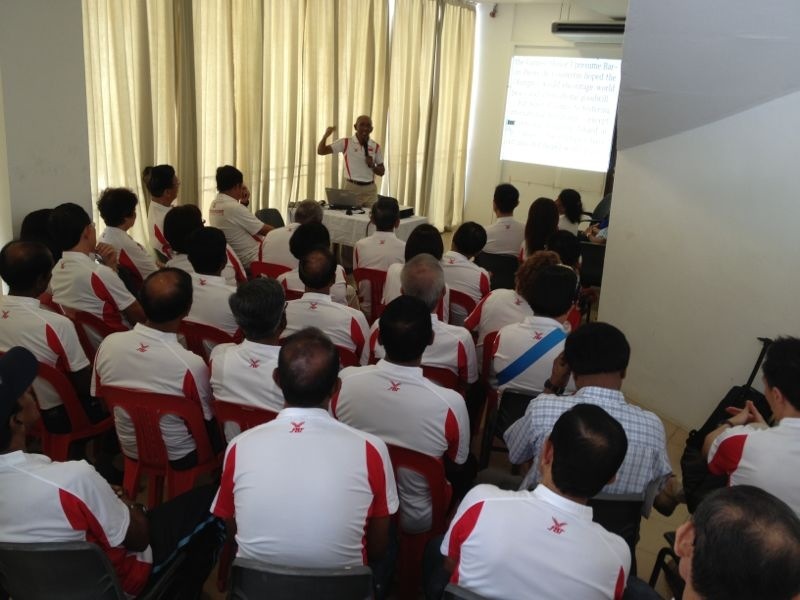 Yesterday on the 28th October, Sunday at Toa Payoh Indoor our masters athlete received a rousing send-off and also they were briefed on the competition details. SAA President Mr. Tang Weng Fei was in attendance to give his support.